The law firm of Carl Henry Franklin, Attorney at Law, provides strong criminal defense representation for clients in Shreveport, Louisiana, and throughout Haughton, Mansfield, Stonewall, Blanchard and other cities in the surrounding area. With 30 years of legal experience, Mr. Franklin has advocated for the rights of numerous clients in criminal defense cases. Whether you are facing charges for driving under the influence (DUI) or you want to avoid probation revocation, it is important to find an effective advocate. Mr. Franklin will not only explain your legal rights, but he will also bring his full resources and determination to bear in defending those rights to the utmost. He offers free initial consultations and makes personal jail visits when necessary. In addition to criminal defense, Mr. Franklin's law firm handles torts. A "tort" is the legal term for a personal injury that violates your personal rights. However, the state government will not act on your behalf unless the tort is also considered a crime. It is up to you to seek justice in the civil courts if you believe that your private rights have been violated. If the offending party has not acted against public interests and welfare but has wronged you personally, Carl Henry Franklin, Attorney at Law, can help you seek relief and fair compensation for financial, emotional or physical injuries. 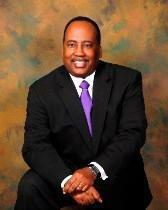 Attorney Carl H. Franklin as handled Successions and Probate Administration for 30 years. He is a member of Elder Counsel and Wealth Counsel both national organizations of lawyers who handle Elder Law, Estate Planning, Probate Administration, Wills and Trust. Mr. Franklin graduated in 1984 with his J.D. from the Southern University School of Law. As assistant city attorney for the city of Shreveport, he represented several departments of the city government in litigation. He has served as a board member of Northwest Louisiana Legal Services and the Greater Shreveport Chamber of Commerce. In addition, he has taught at Southern University as an adjunct faculty member.